Living in Brisbane in the 1930s may have been a tough time for transportation. However, it was a different story for koalas. 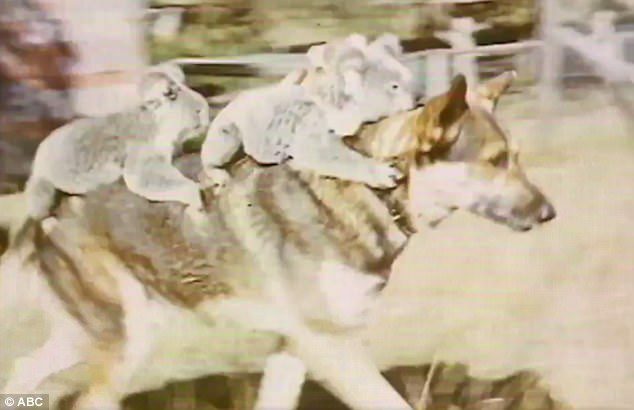 Lone Pine Koala Sanctuary in Fig Tree Pocket, released breathtaking archive footage showing two of the cuddly animals riding on the back of a dog. While a large German Shepherd runs around a field in the short clip completely unconcerned by its freeloading passengers. The photo was uploaded to Twitter earning itself a prestigious title of the ‘best vision’ in the company’s archives. 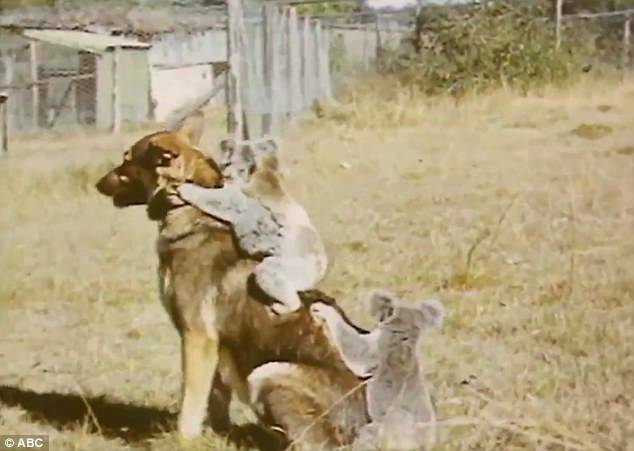 ‘Nothing to see here, folks – just two koalas riding on the back of a dog out at Lone Pine Sanctuary in the late 1930s,’ the post read. 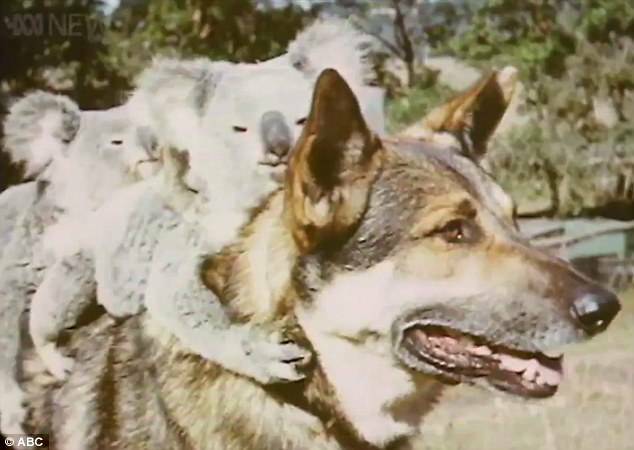 In the video, one koala is clutching its claws around the dog’s neck, and the other is positioned further down its back. The koalas weight is no challenge for the heftily sized dog, who carts them around an overgrown enclosure with ease.